Can you help save this old timber frame house from being demolished? This grand timber frame home will be demolished in February….UNLESS a new owner is found. 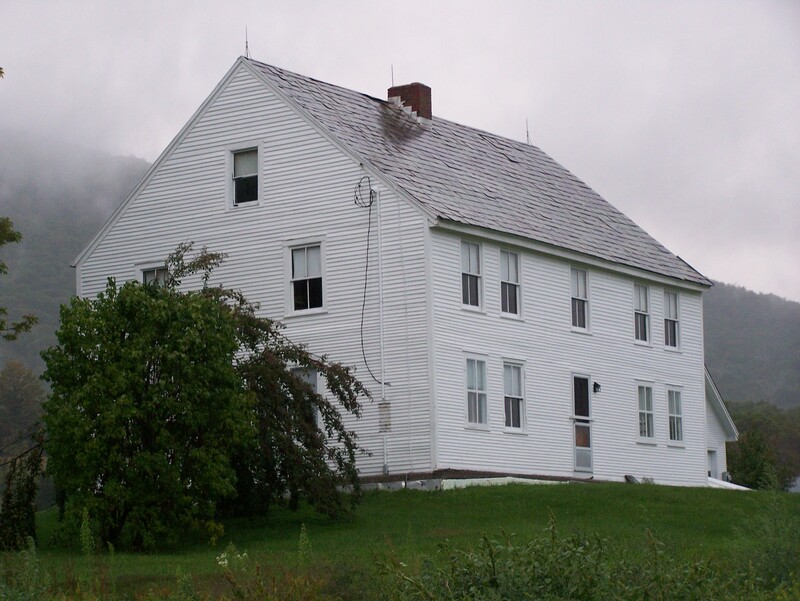 Known as the Hod-Hepburn house, it has stood on a back road in Tinmouth, Vermont since about 1780. The two-story home is a great example of post medieval construction. 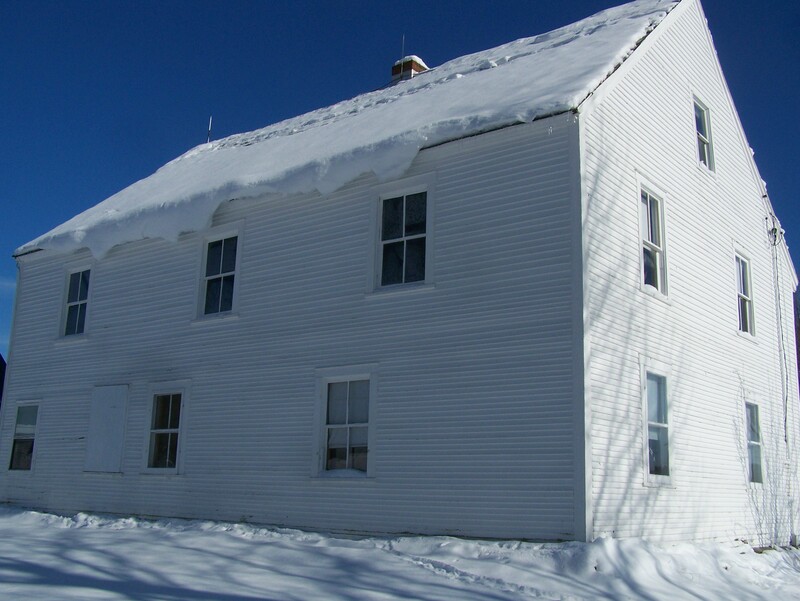 It’s a trusty farm house that has weathered 234 New England winters. 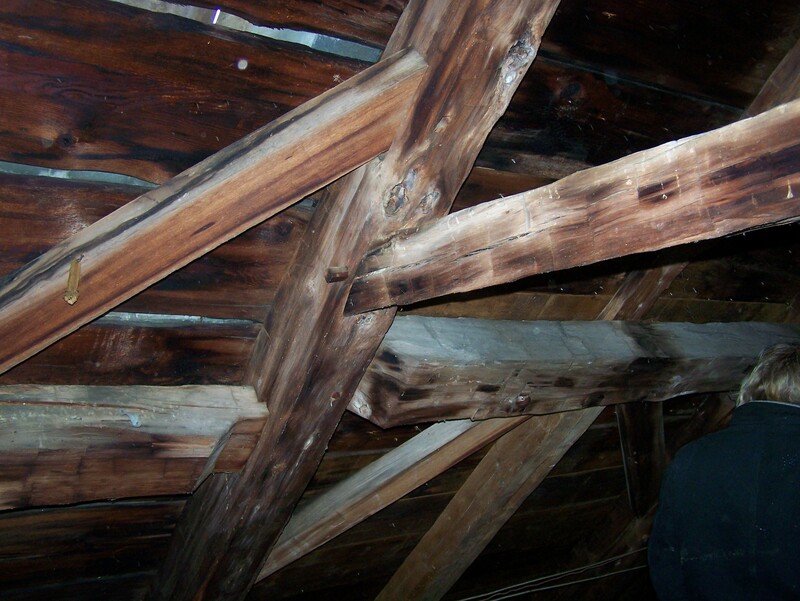 We hope to find a new owner interested in having Green Mountain Timber Frames take down and restore the hand hewn frame. This beautiful structure could be erected on the client’s site, with a custom layout to fit today’s needs. The frame features rugged rafters as you see below. 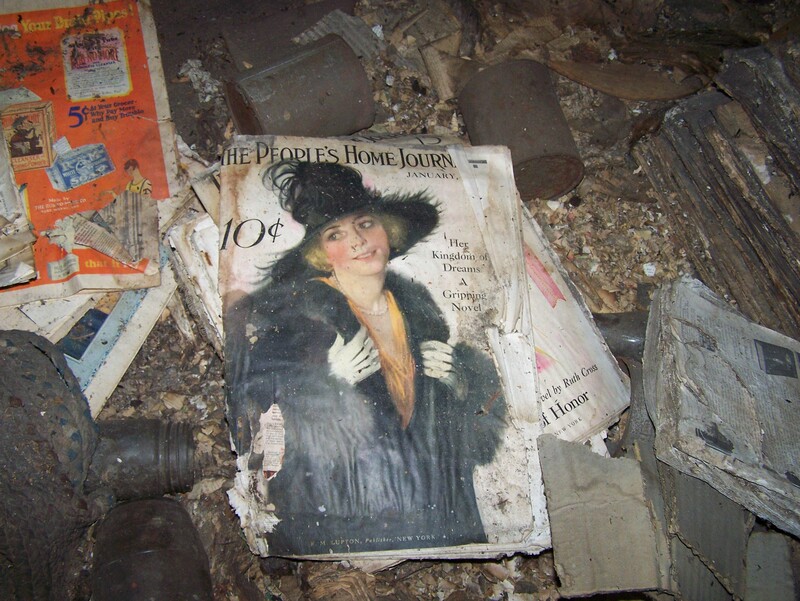 When we visited the house, we found all sorts of treasures inside, including…. these magazines from the early 1900s and… …a TV from the 1960s! We don’t know the exact date the house was built, but the house was referenced in local deeds from the 1780s, so we are assuming it was built by then. The truth is, it may be even older! Here is a picture from the house taken around 1950. Interested in learning more about this “Vermont Republic” home and perhaps making it your own? For more information, please contact me! This entry was posted in Frames in stock, Green Mountain Timber Frames, Post and Beam and tagged American Architecture, American History, antique barn home, barn homes, historic post and beam homes, historical architecture, New England history, timber frame, timber frame barn, timber framing by Green Mountain Timber Frames. Bookmark the permalink. Why on earth would anyone want to take this house down and move it somewhere else? Why won’t someone buy it and restore it in situ? 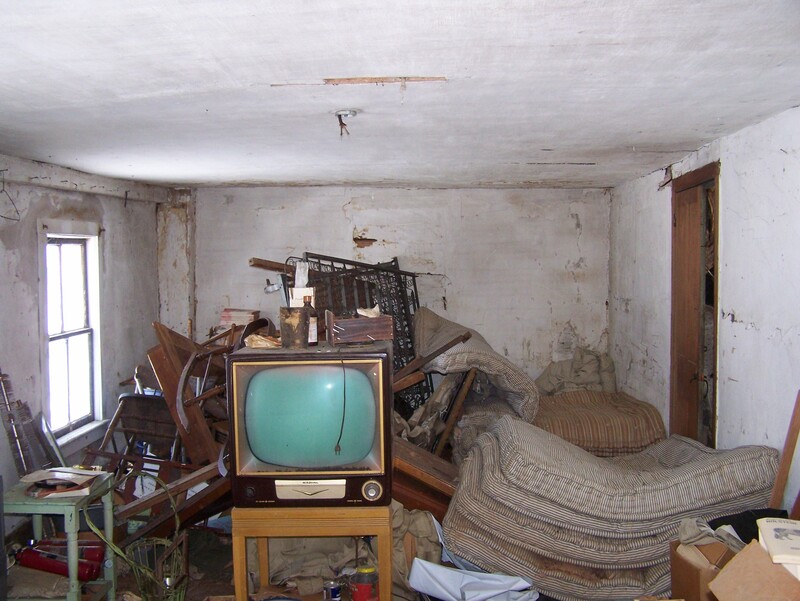 ….it looks like a great renovation project. Jack, thanks for commenting. Economics is the driving factor in removing this house. New owners are interested in modern housing. Not interested in saving history. So we try and find someone else who is interested. We may make the deadline but probably not. 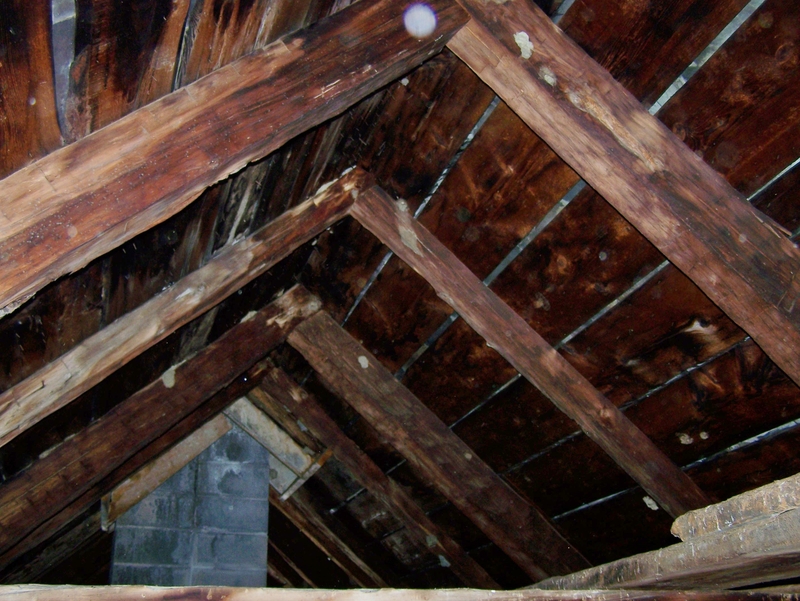 Take down, restoration and re erect can cost $100 per sq ft. We are looking at around 2600 sq. ft. with half the attic exposed. Hi Dan, thanks for that. I thought there was a Register of Historic Buildings in the US……..wouldn’t this house be on some list of protected buildings? If not, it seems as if it should be……the Listed Buildings here in England are very regulated as to what you can and cannot do to them with regards to alterations, materials allowed for repair etc.etc. Although some people complain, most people are sympathetic and realise that to protect the historic fabric and integrity of the buildings, they have to be protected by Law. Having said that I wish that I had the money to buy this house and have you re-erect it somewhere else in Vermont. I have a friend, Rob Tarule, who lives in Essex Junction, perhaps somewhere around there? Ah well, one can dream!! Don’t know that I can help find a new home for this home in the needed window of time, but I’ll put out feelers and do what I can to spread the word. And if you need help with this, or any framing or preservation work do reach out. Will, thanks for the connect and concern. I fear this one will be lost. I came very close with a client but he ran into zoning issues on his end……………..this house is bigger than the one he took down. They prefer the same footprint. I don’t have the resources to just dismantle and store. Houses are harder to sell than barns. The demolition window could stretch into March if a new owner is found in the next 2 weeks. To me this house looks a lot earlier than 1780. Is there any chance of getting a floor plan or any further shots of the interior; any remaining staircases or decorative woodwork? Want to share widely because I hate the idea of this lovely, very old house being demolished for no very good reason.